5 houses of 40 sqm.each, one bedroom, one bathroom. Each house has A/C unit. Plot size 4.100sqm. flat land, various plants, olive trees, fruit trees, flowers. Easy access from the asphalt street, walking distance to the lovely, sandy beach, restaurants and beach bar in close distance. Free space for car park, the size of the plot allows an addition of swimming pool, perhaps a playground and more. 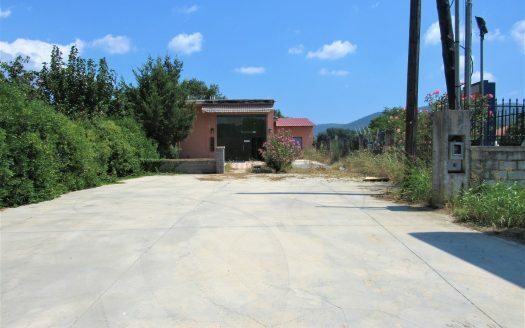 A good investement in an area with raising tourism, easy access from Kalamata, Pylos and Patras. Beautiful beaches, famous Voidokilia and Divari, the unique water falls of Schinolakka and Polilimnio, the lagoon and the variety of historical monuments around the area. Enjoy your dinner and drinks at Gialova.